BeckModZ picked themself up an In Win D-Frame mini, and decided to get to work making it their own. Not only were they planning on changing the color scheme of the case away from red and black, but also intended to replace the stock motherboard tray with a custom reservoir and manifold panel. 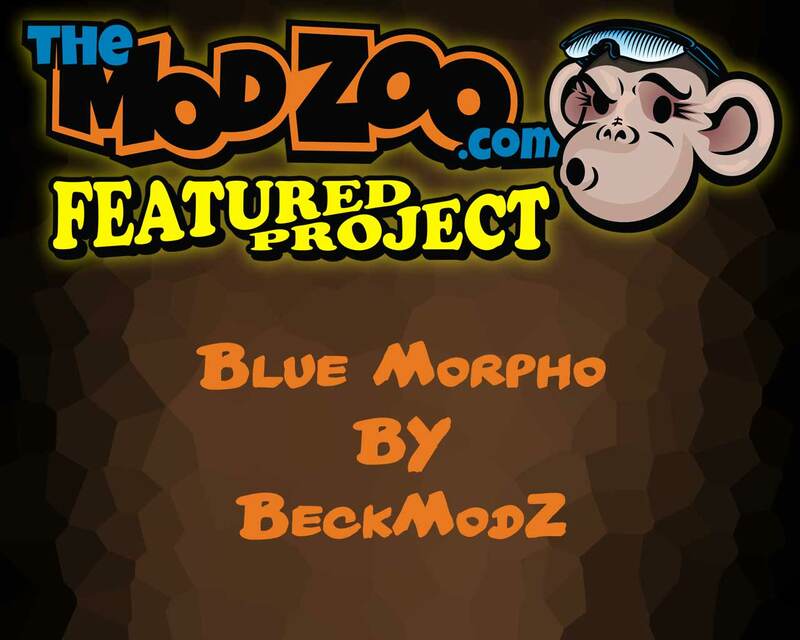 Today, of course, we’re featuring the project Blue Morpho. BeckModZ says that they usually start a new project by brainstorming design layout and hitting google image search. They came upon an image of a blue butterfly (a Blue Morpho, hence the name) sitting on small white rocks, and knew right away that white and blue was going to be the color scheme for this build. The white D-Frame Mini sure has a lot of pop to it, and the blue compliments it well. All the major components are watercooled and there is an impressive reservoir and manifold that doubles as the motherboard tray and wire management raceway. Everything is kept nice and tidy as well. The System installed consists of a Gigabyte Z97N-Wifi, i5-4690k, 16GB of HyperX Fury RAM, an EVGA GTX 970 Superclocked GPU, along with 250GB and 500GB Samsung EVO SSDs. It’s all powered by a Super Flower 1000W platinum PSU. It integrates EK watercooling parts including a 240mm radiator, CPU, GPU, and RAM waterblocks, as well as hardline tubing and a DDC pump. Head on over to the forums to check out the Full Project Log from BeckModZ on TheModZoo.com for how they built everything, and more pictures!